Our Printing Department strives to produce the absolute best in printed materials. From projects as small as a black and white business card to fully developed promotional endeavors, we can serve your needs. 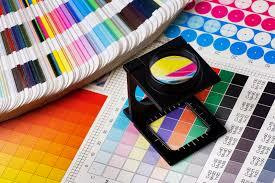 With over 60 years in combined printing experience you can be assured of receiving service from a Knowledgeable team. Your project can be printed using our state of the art equipment.